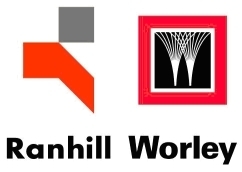 Ranhill WorleyParsons provides Project Management and multidiscipline Engineering Services to Onshore and Offshore Oil and Gas, Refinery, Chemical, Petro-chemical, Power, Infrastructure and Paper and Pulp industries. The services rendered include a full range of Process, Mechanical, Instrumentation, Electrical, Civil, Structural, Pipeline Dynamics, Safety and Environmental, Subsea and Marine engineering. Ranhill WorleyParsons handles projects of all sizes from minor trouble-shooting exercises through to full Engineering, Procurement and Construction Project Management (EPCM) of new facilities. It is particularly responsive to Client's needs and operates as an extension to the Client's own organization. The company has a proven record of achievement, having successfully completed a wide range of projects in this region.